Critical Cycles is known for their reasonably priced mid-line road bikes. Their Classic Fixed-Gear Single-Speed with Pista Drop Bars is one Fixie in their lineup that is a cheap alternative to spending a bundle to take a spin around the neighborhood. 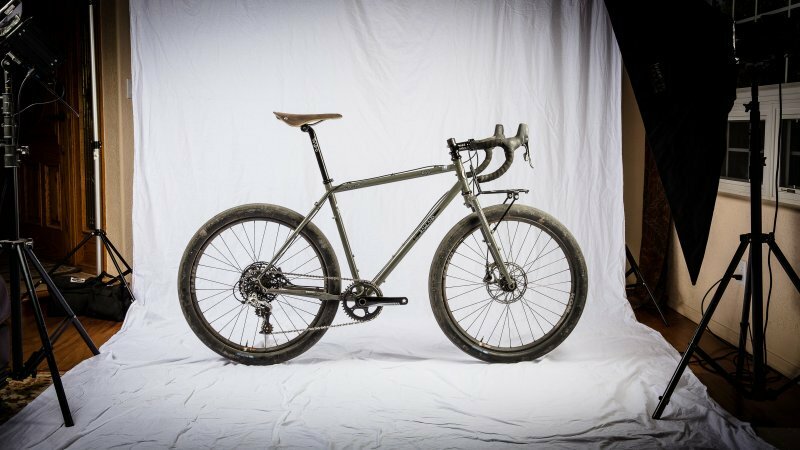 This model by Critical Cycles features a premium hand-built steel fixed gear, single speed track frame. With bar-spin clearance, convenient water bottle mounts, and horizontal drop outs, this single speed is perfect for commuting and riding casually around the neighborhood or town. Pound for pound, this is one of the least expensive models on the market that can still offer riders a respectable, reliable, and solid ride. With 5 sizes and 8 colors to choose from, any man and woman is guaranteed to find the one that suits their style. See our review of Critical Cycles Fixed Gear Single Speed Fixie Urban Road Bike at the link! The design is very clean and attractive, as well as lightweight. Freewheel works perfectly and switching from fixed gear to single speed is no problem. The soft Kraton rubber grips are favored by bikers and are extremely comfortable, which is excellent for longer bike rides. This makes using the Pista handlebars that much easier. All of the tools you need to finish assembly and tune it up come with the purchase. This includes: 3 Allen wrenches (4mm, 5mm, and 6mm) and a 10 function multi-tool. At just over $200.00 (the X Large is $302.00), this is an incredibly affordable entry-level Fixie bike with good bones. 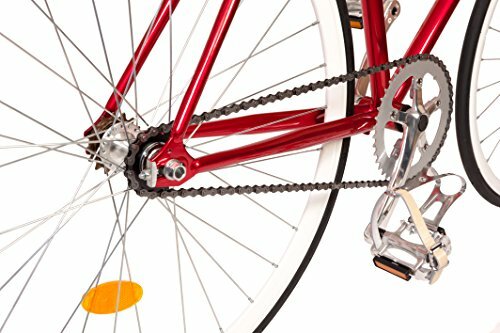 The chain may have to be tightened often—perhaps once a week with regular use in fixed gear. Some riders reported chain issues such as it popping off during riding (which could become tangled in the rear cog). As with nearly all road bikes, the tires that come stock with the bike (Wanda brand) are not the best. 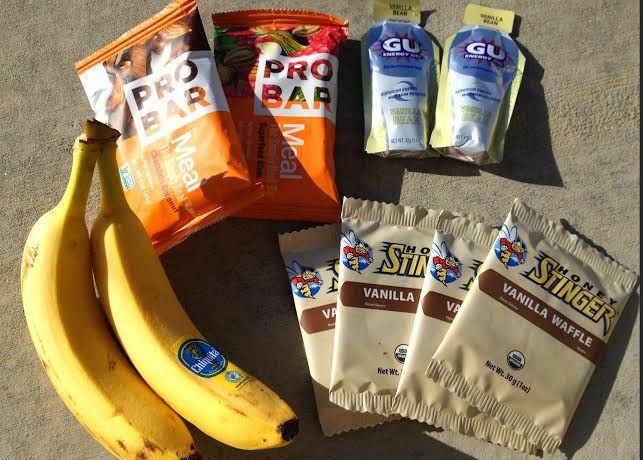 The tubes are likely to become flat within a few rides, so it may be best to replace the tires and tubes immediately with ones that withstand the environment you wish to bike in. Bikers usually have a preference between bullhorn handlebars and Pista Drop Bars, so if you are averse to a narrower handlebar, this may not be the bike for you. However, most riders become accustomed to it and begin to like them due to the multiple hand positions it offers. The flip-flop rear wheel hub easily allows the rider to change from single speed to fixed gear. 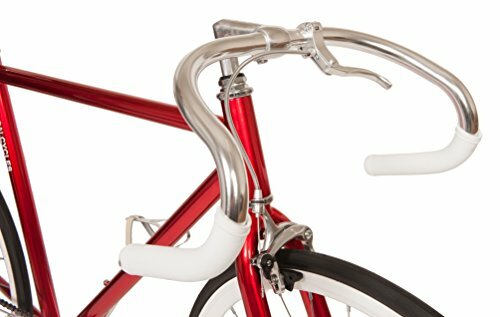 The Pista Drop Bars are commonly used on Fixies and they are best for road use due to the various hand positions it offers. Because of their practicality (as opposed to track drops, for example), they are the ideal handlebar to feature on this bike. The functionality of this model is very fair. The frame is made of a strong steel and with the flip-flop hub, the rider can easily switch from fixed gear to single speed in an instant. For freewheel riding, simply flip the rear wheel around. The wheels are not as great as they are in higher-end models. Since this bike ranges from $219.99 to $302.00, this is not at all surprising. Since this is a component quality issue rather than a problem with the frame or gears, this is easily remedied. The Wanda tires that comes with this bike do not hold up well, so their functionality is questionable. It would be best to replace them with tires that are more suited to your intended riding terrain. 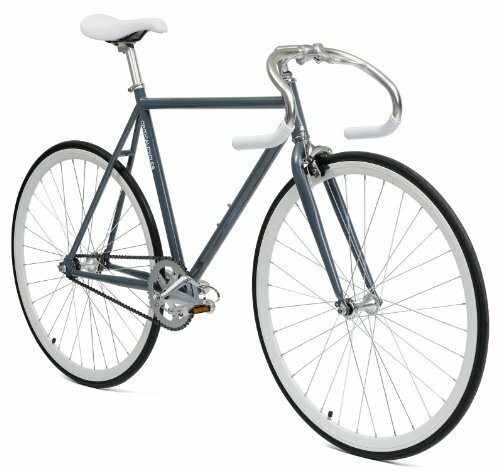 You can purchase the Critical Cycles Fixed-Gear Single Speed with Pista Drop Bars on Amazon for an incredible price. For sizes X Small, Small, Medium, and Large, you can purchase this bike for only $219.99. For X Large size, it costs only $302.00. Regardless of what size you need, this bike is incredibly inexpensive and is worth the purchase. Check our list of reviews for comparably priced bikes of this caliber at this link. Critical Cycles is the industry’s leading fixed-gear bicycles. They are designed to appeal to a variety of riders within a certain environment and quality materials are used without compromising the low price. This single speed is very versatile—the flip-flop hub transforms this Fixie into a single-speed in moments, and all you have to do is flip the back tire around and you have a freewheeling bike that will ride like any other. 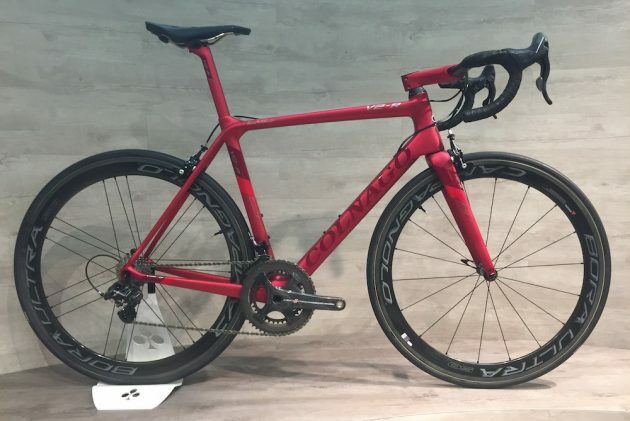 Overall, for just over $200, it is insane to think that anyone can buy a respectable bike that will perform well. However, Critical Cycles has cornered the market on affordable fixed-gear bicycles and due to their popularity and mass production, the price can come down and maintain quality. While not perfect, nor containing the highest of quality components and materials, this fixed-gear single speed is certainly one of the best bargain road bikes you can buy that is suitable for teens and adults. To learn more about RoadBike.io, visit our About Us page, and for a full list of our road bike reviews, check out our Homepage!